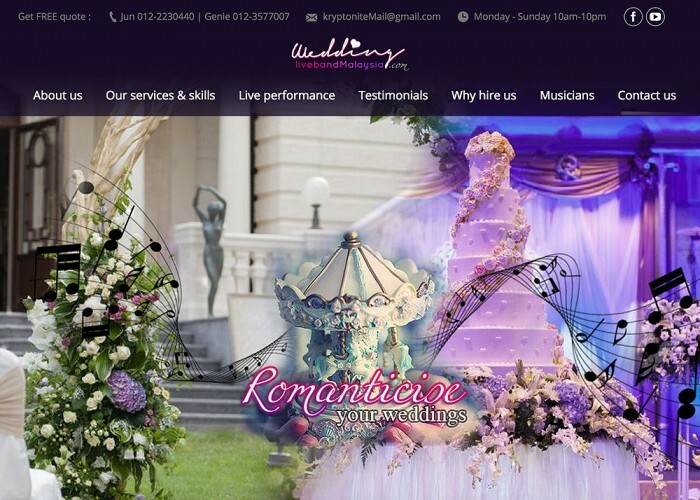 This is a website for Wedding Live Band in Malaysia, specializing in Jazz, ShangHai Jazz , Contemporary and Acoustic wedding live bands, by Kryptonite Entertainment company. They believe "Life is live, and love is life". Therefore, they create music for love, everyday.